To be eligible for nomination, an individual artist or band must have released its first single or album at least 25 years prior to the year of nomination. The 2017 Nominees had to release their first recording no later than 1991. Nominees on the ballot for the first time include Bad Brains, Depeche Mode, Electric Light Orchestra, Jane’s Addiction, Joan Baez, Journey, Pearl Jam, Steppenwolf, and Tupac Shakur. Pearl Jam and Tupac Shakur became eligible for nomination this year. Ballots will be sent to an international voting body of more than 800 artists, historians and members of the music industry. Factors such as an artist’s musical influence on other artists, length and depth of career and the body of work, innovation and superiority in style and technique are taken into consideration. 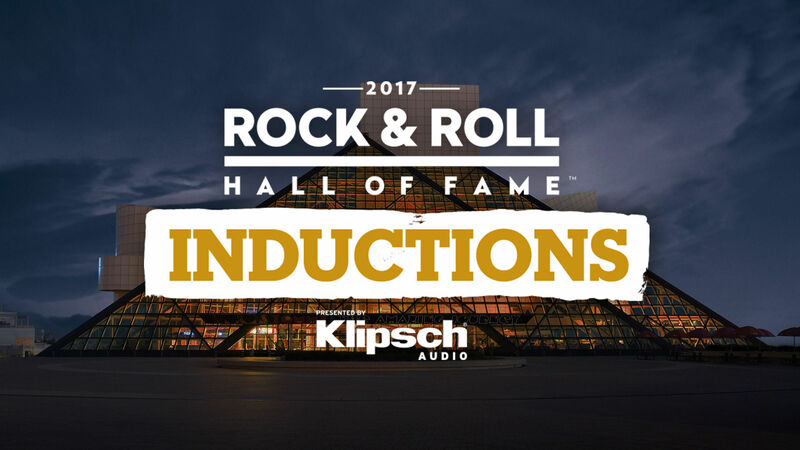 The Rock & Roll Hall of Fame and Klipsch Audio will again offer fans the opportunity to officially participate in the induction selection process. Beginning October 18 and continuing through 11:59 p.m. EST on December 5, 2016, fans can visit Klipsch.com/rock-hall to cast votes for who they believe to be most deserving of induction into the Rock & Roll Hall of Fame. The top five artists, as selected by the public, will comprise a “fans’ ballot” that will be tallied along with the other ballots to choose the 2017 inductees. Fans will need to login with a Facebook account or email to vote. Voting is capped at one ballot per day. The Rock & Roll Hall of Fame 2017 inductees will be announced in December 2016. The Rock & Roll Hall of Fame 2017 Inductions, presented by Klipsch Audio, will be held at the Barclay’s Center in New York in April 2017. HBO will also once again broadcast the ceremony in 2017. Venue and ticket on-sale information will be announced at a later date.